Now, there are many grades of Badger Hair Knots. As with most things, these different brushes come with their pros and cons, and that`s where personal preference comes into play. I introduce this fan shaped Silvertip Badger Hair Knot to you, today. This type has a 3-band appearance, but with silvery tips that give the user silky-smooth feelings. Because the silvertip hair is so fine that it can splay easily, and give you a luxurious, cloud like feeling. 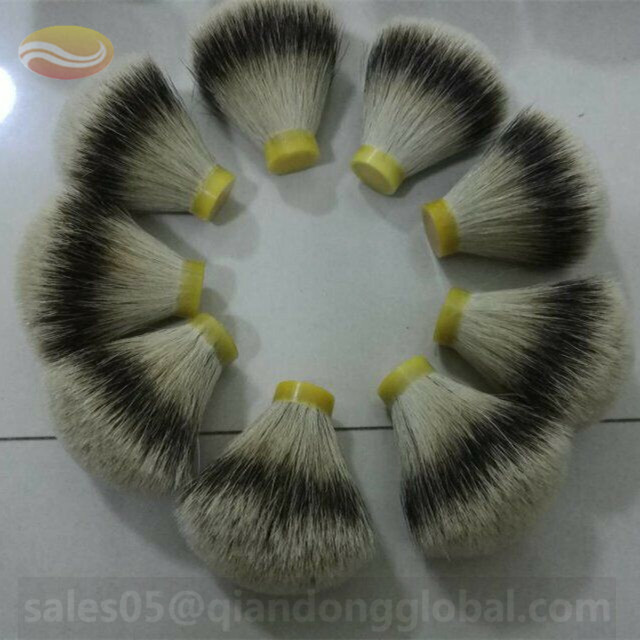 This type Silvertip Badger Hair knot is fan shape, that is different from bulb shape. 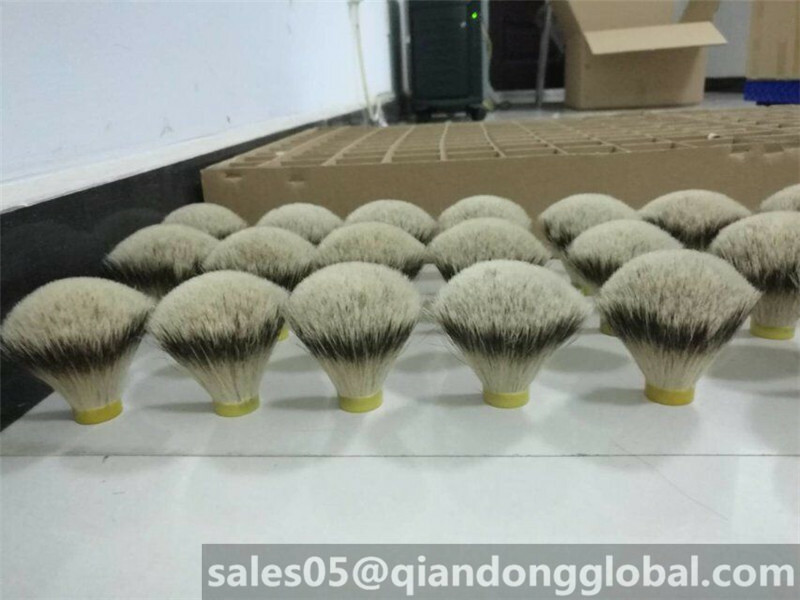 What is fan shape Shaving Brush Knot? That is to say the knot apperance looks like a fan. The fan shape knot has flat badger bristle with long hairs all throughout the Brush Knot. This gives a softer, fuller feel against your face. 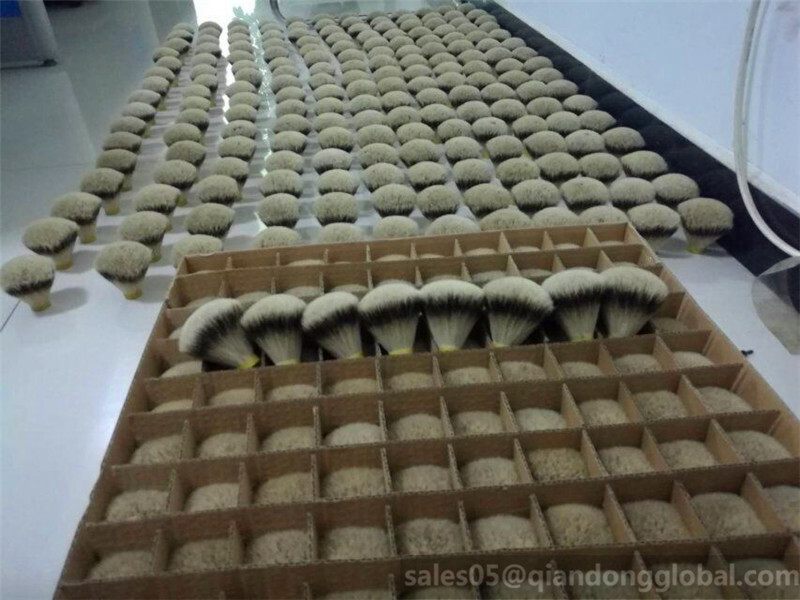 Because fan shape Badger Hair shaving brush knot retains and absorb water better than the bulb shaped ones. 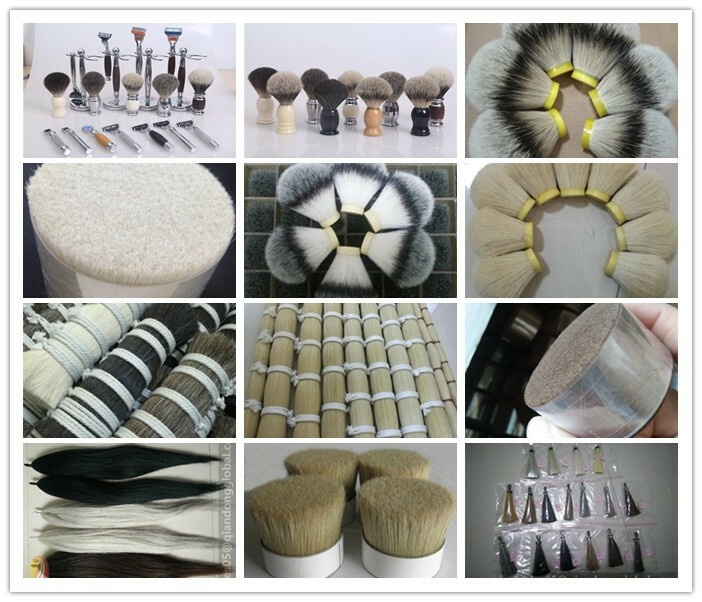 Looking for ideal Fan-shaped Badger Hair Shaving Brush Knot Manufacturer & supplier ? We have a wide selection at great prices to help you get creative. 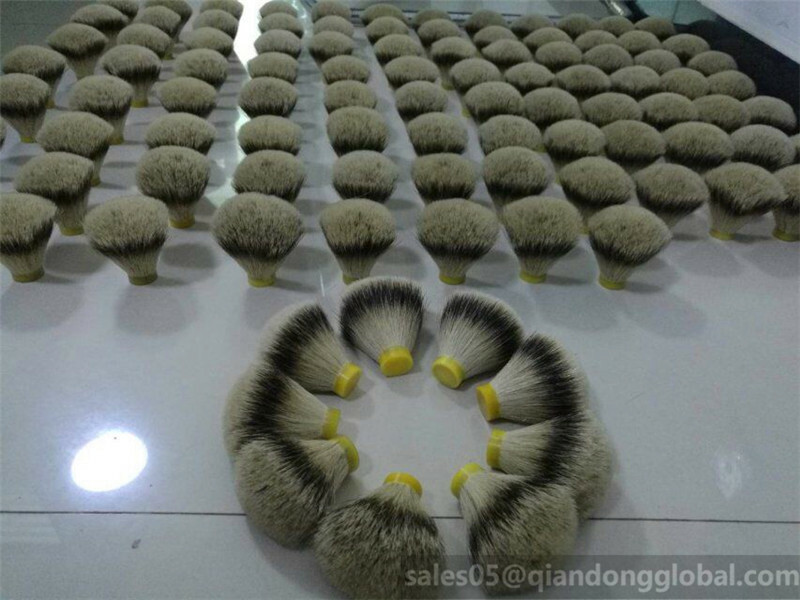 All the Fan Shape Badger Hair Knot are quality guaranteed. 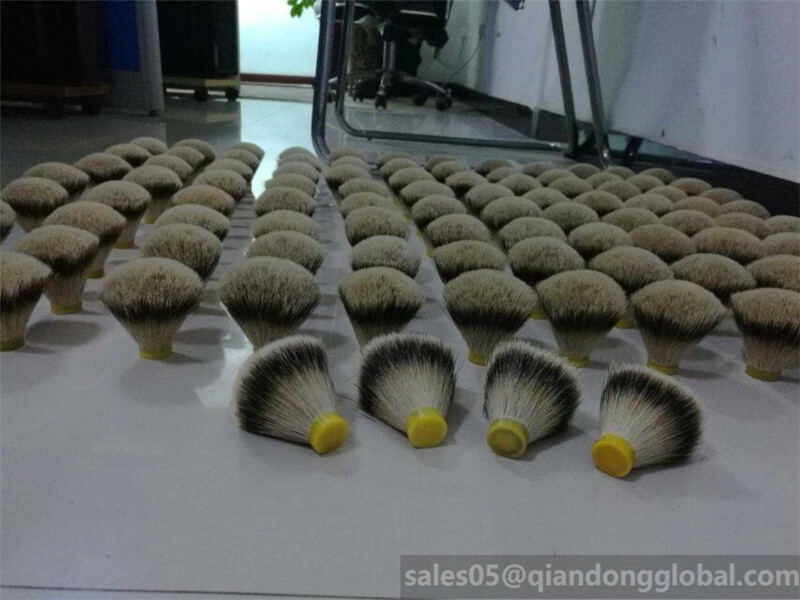 We are China Origin Factory of Fan-shaped Shaving Brush Knot. If you have any question, please feel free to contact us.